Jessica (Jess) Schor serves as Managing Director in the Higher Education practice at McAllister & Quinn. In this role, she works with clients to seek and secure federal and foundation grants to support their institutional and project-based needs. 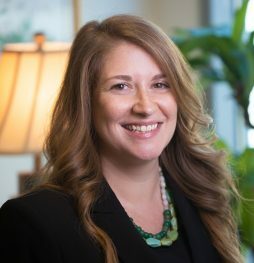 Jess has more than 10 years of fundraising, grant writing, and grant management experience in the nonprofit sector, which she leverages to provide strategic advice to clients and manage all aspects of the grant preparation process, from identification to submission. Prior to joining McAllister & Quinn, Jess served as Associate Director of Foundation Relations at the George Washington University. At GW, she partnered with academic leadership to develop comprehensive fundraising strategies for institutional priorities and assisted in identifying and pursuing grants for faculty scholarship. Previously, as Manager of Foundation and Government Relations at the Museum of Fine Arts, Boston and the National Building Museum, Jess was responsible for foundation, state, and federal agency submissions, including NEA, NEH, and IMLS. Over the course of her career, Jess has raised millions of dollars through grant seeking from local and national foundations and federal agencies. Her expertise includes a nuanced understanding of the goals of private and government funding sources and the ability to align institutional strengths with funding priorities. Jess earned a bachelor’s degree in art history from Wheaton College in Massachusetts and a master’s degree in art history from American University.